All sorts of people claim they have the ability to repair or install a roof. Handymen, general contractors, even people in related fields who install siding or gutters will sometimes take a on a roofing job. However the National Roofing Contractors Association (NRCA) recommends that homeowners take the time to educate themselves in how best to evaluate the capability of a roofing contractor prior to signing a contract. While it is true that hiring a handyman or other contractor to install a roof might save a little money, it is also true that the end result could be disastrous. The NRCA advises consumers to work exclusively with professional roofing contractors. 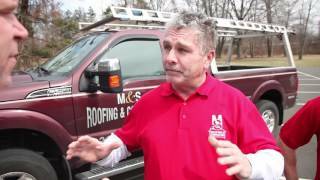 Should you need to install residential roofing, or require a roof repair, please consider the following criteria when choosing a roofing contractor in Warrington PA. Experience - Find out how long the roofing contractor under consideration has been in business. How many years has the company owner been involved in the roofing profession? What is the experience level of his employees? Past Customer Satisfaction - Ask if the roofer has filed for bankruptcy in the past ten years. Is he currently involved in any lawsuits? 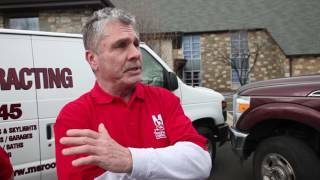 Take the time to check out what Yelp, Angie's List and the Better Business Bureau have to say about the roofer. Ask for the names of previous customers and call them. Liability - Ask for a copy of the certificate that shows the roofer is covered in a workers' compensation insurance program. Is his company appropriately licensed, bonded and insured? The Actual Work - Who will perform the actual work on your roof? If it is to be an entire crew of people, will the owner or manager be present to supervise the work as it is being done? Will any of the work be subcontracted? Materials - Will the roofing contractor provide you with a list of the materials he will need to install or repair your roof? Ask about shingles, decking and flashing. Ask for brand names. Even if the information doesn't mean much to you personally, having it will permit you to do your own research before making a final decision. Warranties - Many roofing companies today are starting to warranty roofs for life, however this often only covers the roofing material. Ask about the warranties on the materials and the labor. Is there a manufacturer's warranty? A contractor's warranty? What is the dollar amount of each? Will you be provided with a copy of the warranty for your files? 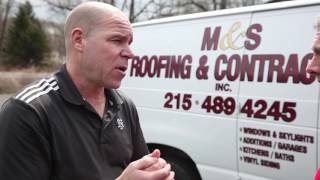 By the time you take the time to assess the experience, reputation and work ethic of a roofing contractor in Warrington PA or two, you'll start to have a feel for who is above board and worthy of your trust. Whether it is your home or a commercial roofing job you're considering, the information you need to determine is essentially the same. Always write down the answers to your questions so that you'll have a record for your files, and don't hesitate to ask for any other information you feel is relevant to your ending up with a professionally installed and beautiful roof.